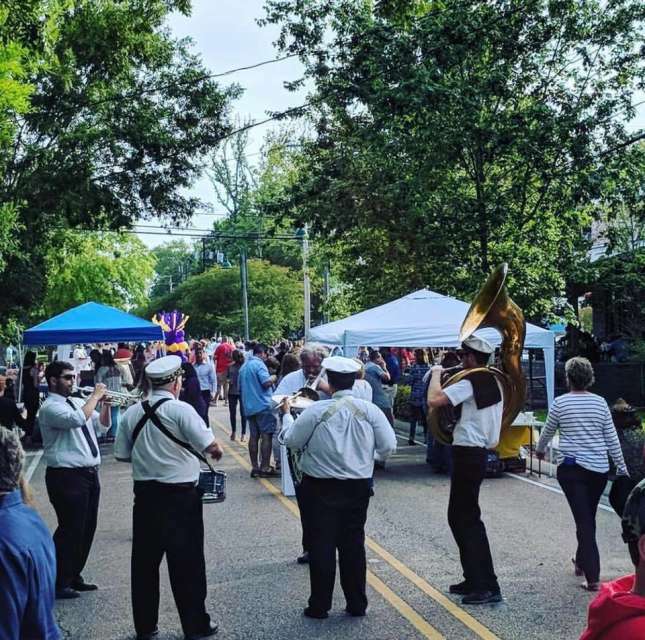 The Old Mandeville Business Association (OMBA) will welcome the spring season to Old Mandeville on Saturday, April 27 (Rain Date: April 28) at the Girod Street Stroll. 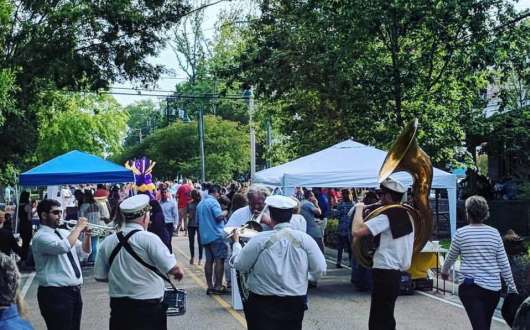 This popular annual event takes place from 5 to 9PM on Girod Street from the Mandeville Trailhead to the Lakefront. Patrons will enjoy light tasting plates by top local chefs and specialty mint juleps served by more than 30 participating businesses. New this year, businesses will compete for bragging rights, as event patrons will have the opportunity to vote on site for their favorite mint julep. OMBA will also raffle off a live painting of the event, created by New Orleans-based professional artist and performer Andrew Wilkie. 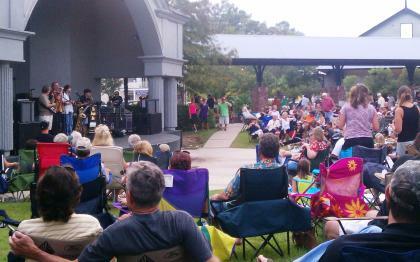 The event will also feature a number of original art vendors, and live musical entertainment by Neo Brass Band. Patrons must purchase a commemorative mint julep cup ($35), which is their ticket to sample all food and beverages at the event. Only 1,500 8-oz. commemorative cups are available. Cups can be purchased online at www.OldMandevilleBiz.com, and picked up at one of the registration areas – Girod Street by the Lakefront or the Mandeville Trailhead – beginning at 3PM on the day of the event. Patrons must show their photo ID and e-ticket or printed ticket to pick up their cup. Participants must be over 21 to partake in alcoholic beverages. For more information or to purchase tickets, visit www.OldMandevilleBiz.com or follow OMBA on Facebook.